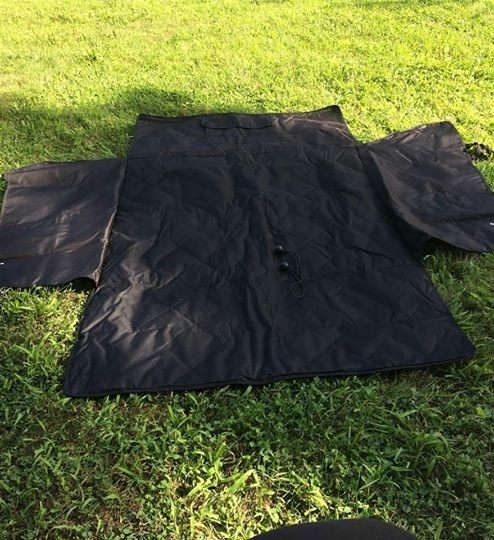 Love this quilted waterproof cargo liner from INNX products. This is almost perfect. I only say that because I think they could have added more pockets to the sides and back pieces. Other then that this is the cargo liner for us. I love the size, coverage, and the versatility of this product. You can use it to protect your cargo area in your van, SUV, or even hatchback. I also love the extra lip that covers up the tailgate so that your pet or what ever you are loading or unloading in your vehicle will not scratch our paint. Awesome for resale. 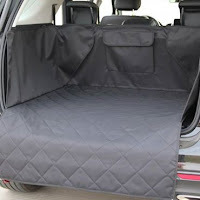 This is great for both pet owners and those who just need extra protection for their vehicles interior. It is waterproof, and machine washable. This is also pretty heavy duty for a lot of use. The INNX products Cargo Liner can be found at my affiliate link below. Disclosure: MarksvilleandMe received one or more of the products mentioned above as part of a promotion with Tomoson and Innx Products. Regardless, MarksvilleandMe only recommends products or services we use personally and believe will be good for our readers. Some of the links in the article may be “affiliate links.” This means if you click on the link and purchase the item, I will receive compensation. If you would like MarksvilleandMe to review a product or service please contact us at marksvilleandme@gmail.com.